Denis Loubet is the artist who created all the magnificent paintings for the Ultima game boxes as well as the illustrations of many of the game manuals. 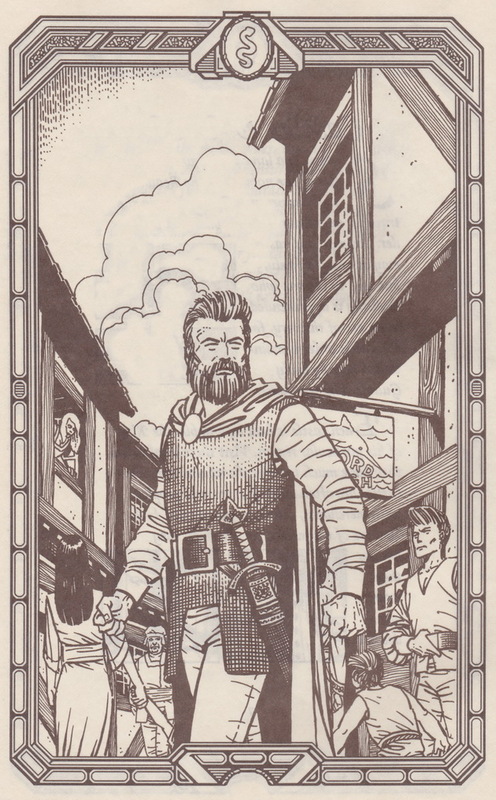 The first piece of art Denis did for the Ultima series was the painting for Akalabeth in the California Pacific edition. But let's tackle things one at a time. Richard heard about Denis in a roundabout way through the Society for Creative Anachronism (SCA). 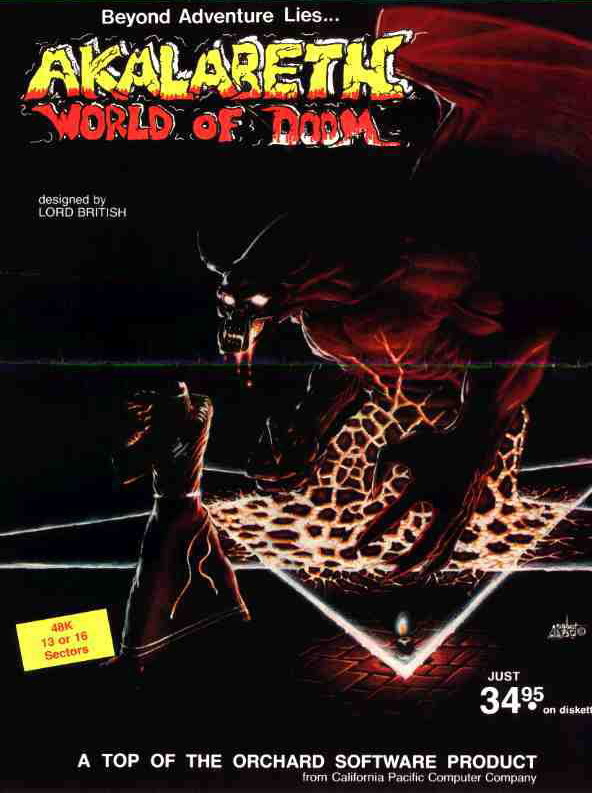 Denis created a painting with a demon and a brave adventurer and sold it to Steve Jackson Games. Richard had been active in the Austin SCA, Steve Jackson was the Duke of the Society chapter in Austin. One day he showed Richard Denis' painting. At the end Richard purchased the image with the demon for the California Pacific version of Akalabeth, and this is how Denis and Richard came into contact. Denis worked as a staff artist at Steve Jackson Games and designed among others a set of miniatures called Cardboard Heroes (1980), a set of 40 full-color 25mm cardboard figures for use in fantasy roleplaying games. One day Richard came by to show off his work on Ultima 1. Denis agreed to create the cover art and the illustrations for the manual. 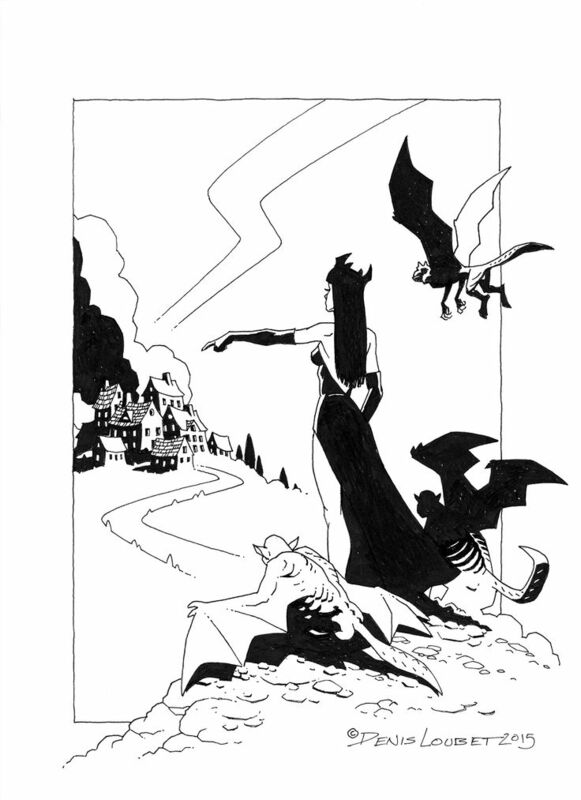 The paintings and illustrations of the first Ultima games were all done with traditional mediums (pens, paint, etc.). Digital art programs were not up to that level of usability at this time. 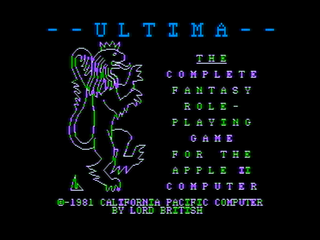 Despite this, Denis did do the digital start-up screen for Ultima 1 on an Apple II, with an Apple Graphics Tablet attached to a rattling metal stylus that threatened to fall apart at any moment. Power spikes from the utility company showed up as actual vertical spikes, instead of the line he was attempting to draw. Creating the start-up screen was a very difficult task. Later Denis became an employee of Origin Systems and made some of the actual tile graphics in Ultima V. He created also screen graphics and, in the case of later titles, 3D rendered cinematics. The introducing movies of Ultima VII Part Two - Serpent Isle - and Ultima IX - Ascension - are excellent examples of this. 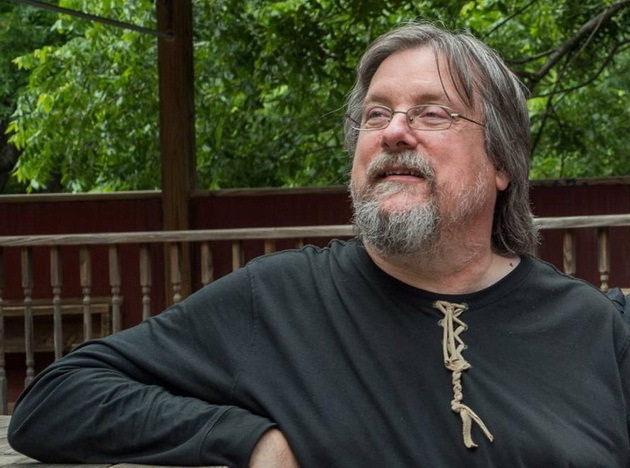 Additionally, Denis provided the voices of the Great Earth Serpent and Dupre in Ultima VII Part Two. Click on the arrow in the middle of the picture above to see the movie. The first part - the arrival of the Avatar and the attack of the dragon rider - was created by Denis Loubet. Denis made also the little pan up with the stained glass window at the end of the intro. The scene with Lord Blackthorn and the Guardian was textured and animated by Mike Morlan. However Denis supplied the model of Blackthorn for this scene. Other works from Denis for Origin are the cover art and illustrations for the Wing Commander series as well as the cover paintings for the games Times of Lore and Shadow Caster. Denis played traditional D&D and also some Ultima games like Ultima 3 and 4 to completion. His favorite was Ultima 4 because it has a guiding philosophy behind it that lends it a sense of validity. Denis Loubet also appears in game as a fighter in Serpent's Hold during the times of Ultima V and Ultima VI. The Avatar's first encounter with Monsieur Loubet was in Serpent's Hold during the tyrannical reign of Lord Blackthorn. Loubet told the Avatar that he came from a far away land on a magic carpet. Not knowing the rarity of this item in Britannia, Monsieur Loubet sold the carpet to Bandaii of Paws. Loubet thought that Bandaii seemd to be a most unusual man, always looking for the talking horse Smith. Denis left Origin in the year 1997, he is now working as a freelance artist. He created the portrait for my homepage and I am very thankful and proud about this marvelous piece of art. If you like the paintings of Denis, consider becoming a Patreon to support his work. ↑ Ultima II is the only Ultima game with a cover painting not created by Denis. He created an alternate cover painting for this game in black and white 33 years later. ↑ The Art of Denis Loubet.